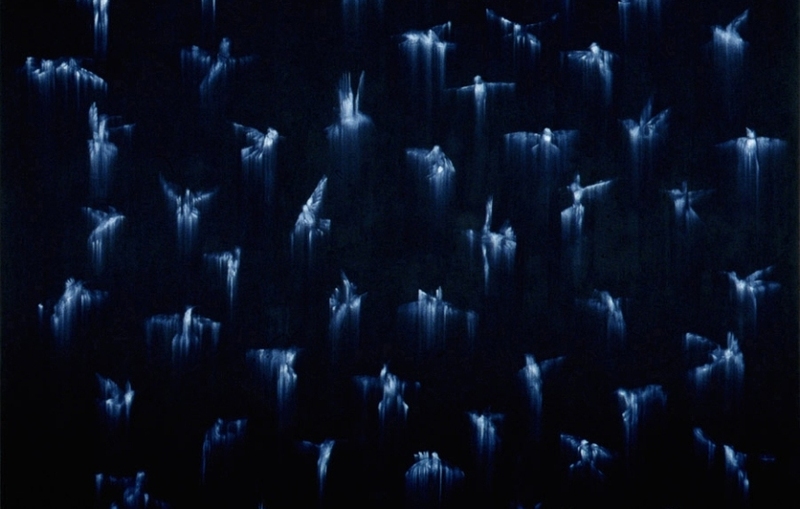 The legendary Mary Boone Gallery opened an exhibition by Ross Bleckner at its space in Chelsea, featuring all new body of work by the renowned artist. 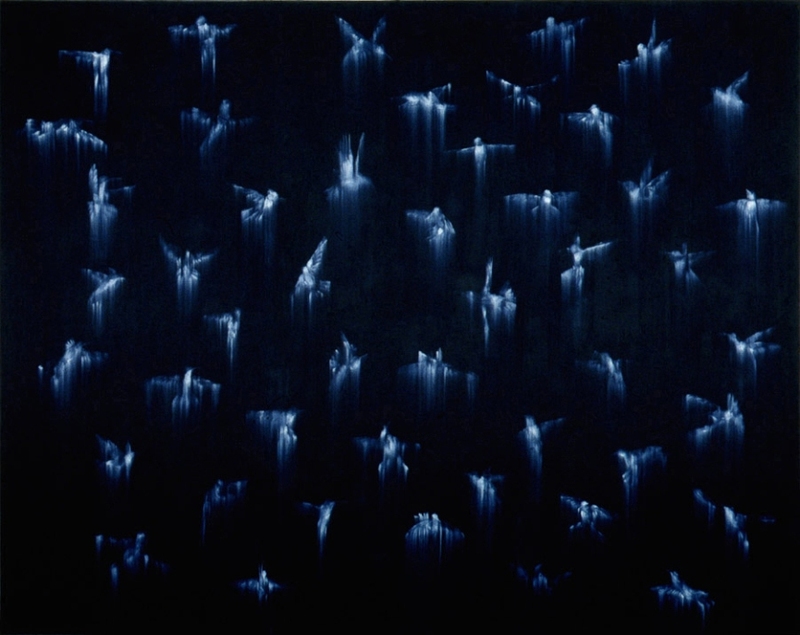 For the exhibition at Mary Boone Gallery, Ross Bleckner investigates his intimate history and the problems an artist encounters on daily basis. 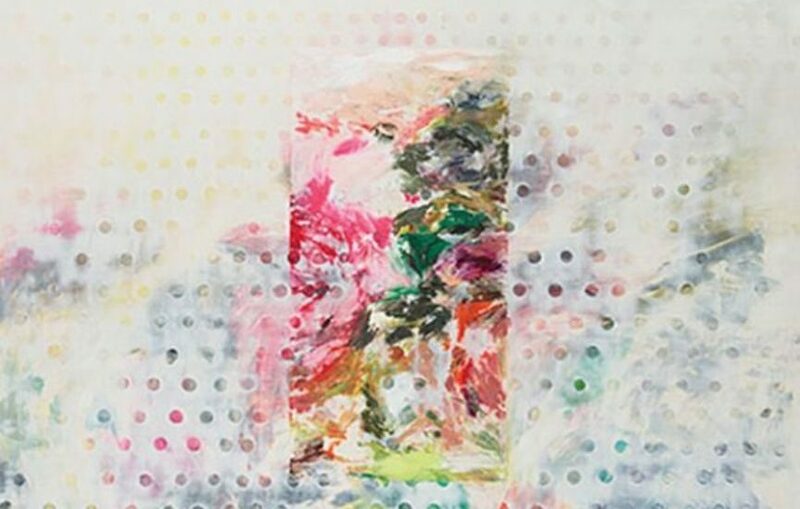 Throughout the series a viewer can wonder together with the author about what is the right way of extracting the continuously evolving ideas, where will a painting lead to, what happened to all the imagined, but never realized paintings. 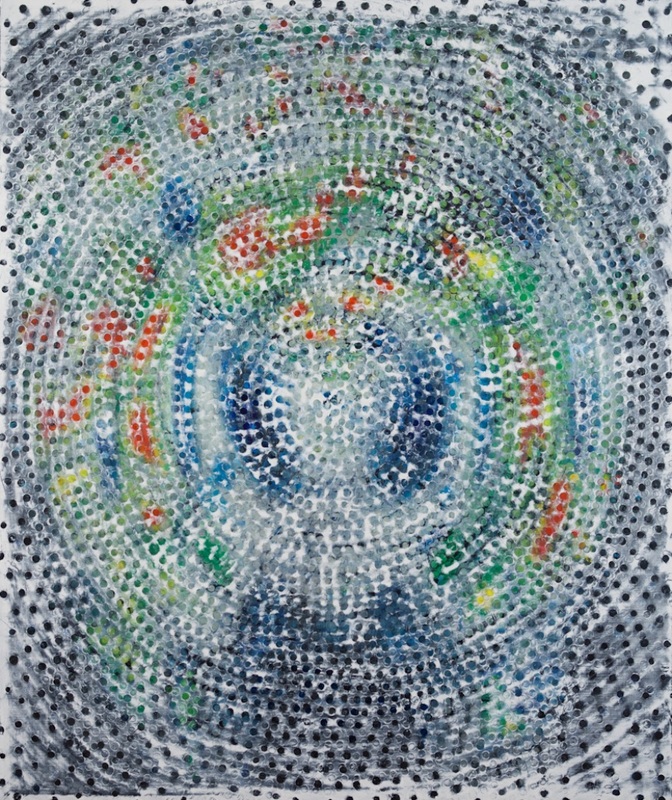 Ross Bleckner will be on display at Mary Boone through April 26, 2014. 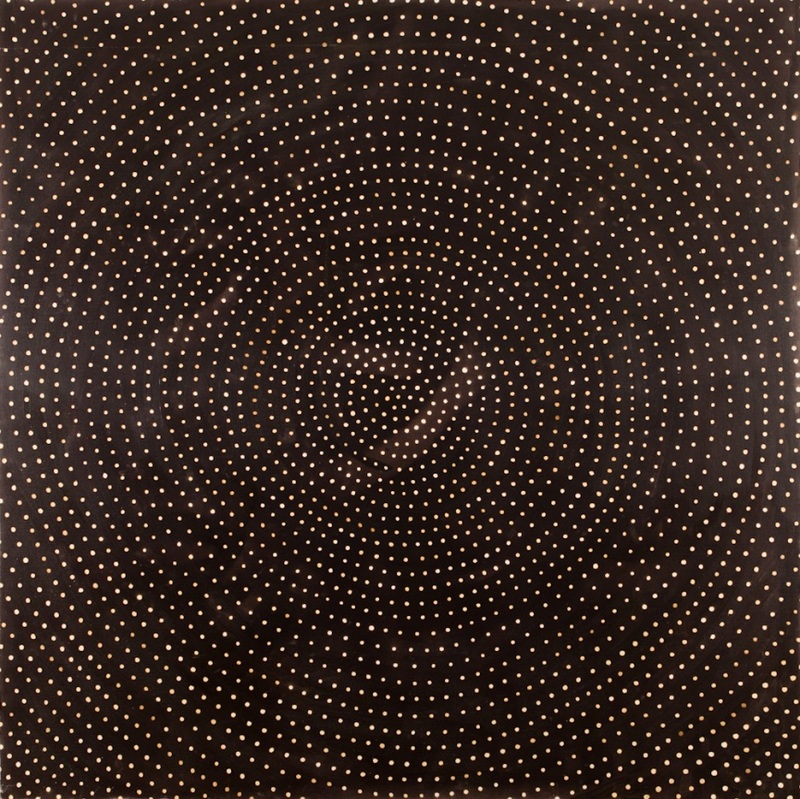 Having researched the correlations between psychological, biological, personal identity and art for over four decades, Ross Bleckner created a vast oeuvre in a variety of media. 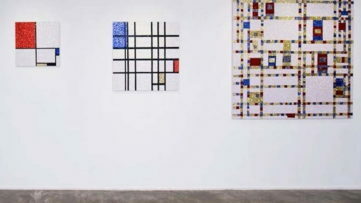 His diverse series of artwork range from geometric abstraction, over indefinite rows of fields, stripes or dots suggesting space, to overt symbolism exuded in images of chandeliers, flags, urns, birds, flowers, words and numbers, but also blood and brain cells. 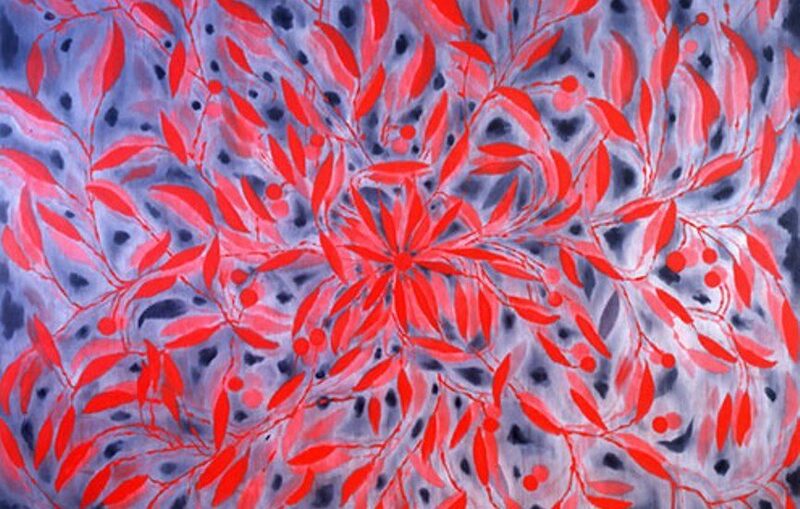 Throughout the new body of work, Bleckner rehabilitates old ideas and gives them a new air. He conjures up the compositions which address the everlasting human search for knowledge and understanding, while often turning inwards, exploring the deepest corners of self. He employs the imagery related to science, handling visuals from the electromagnetic imaging, the language, the beauty seen in floral elements, integrating one visual world into a spiritual projection of human striving towards upper realms. 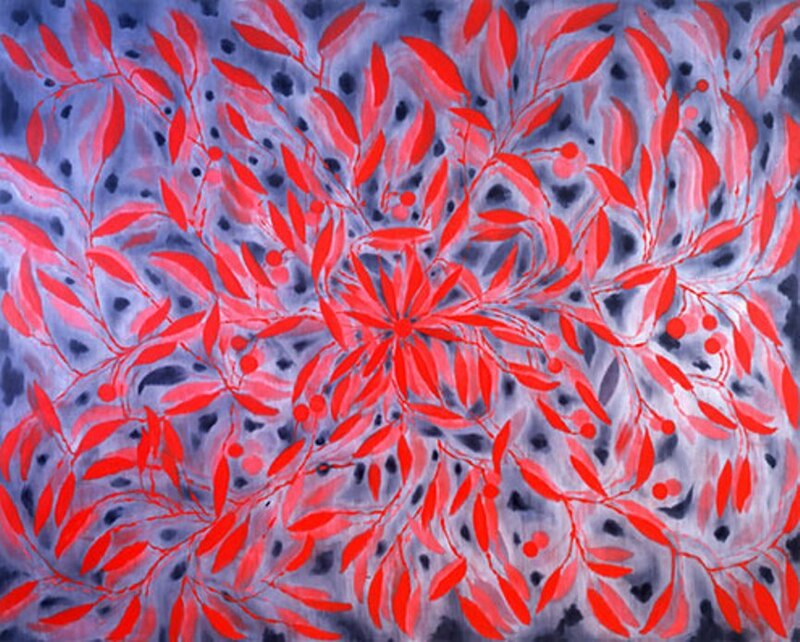 Born in 1949, Ross Bleckner graduated from the New York University in 1971. He completed the MFA at Cal Arts in 1973, and he taught at numerous acclaimed art schools nationwide. In 1995, the Guggenheim Museum hosted a big retrospective of Bleckner’s work, making a summary of twenty years of exhibiting activity. 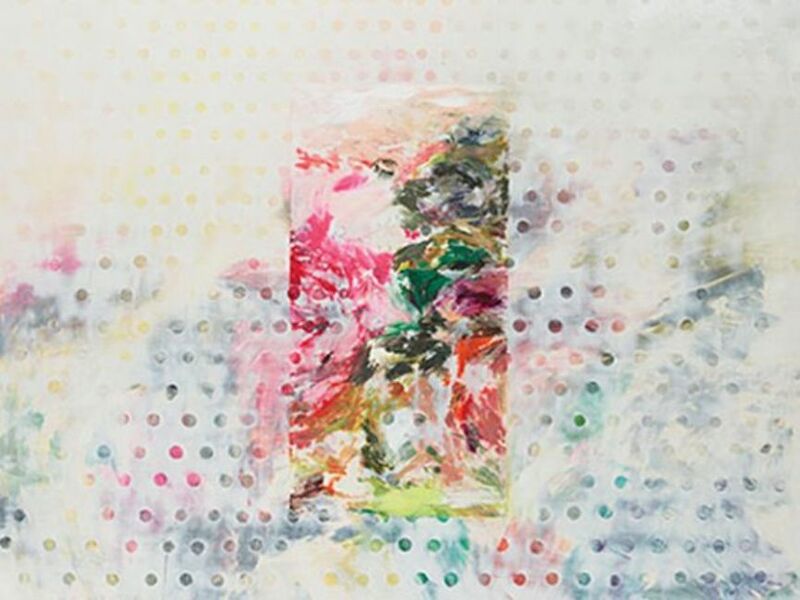 Over the decades, Bleckner exhibited in the most prominent spaces, such as the San Francisco Museum of Modern Art, Contemporary Arts Museum in Houston, Moderna Museet in Stockholm, the Carnegie Museum of Art in Pittsburgh etc. 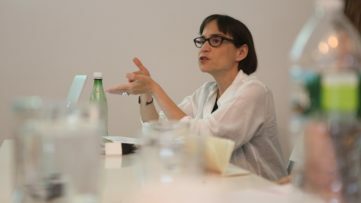 Most selective and prestigious collections in the world possess works by Bleckner, such as MoMa in New York, Museum of Contemporary Art in LA, Museum of Modern Art in Oslo, Museo National in Madrid, and the Whitney Museum of American Art. 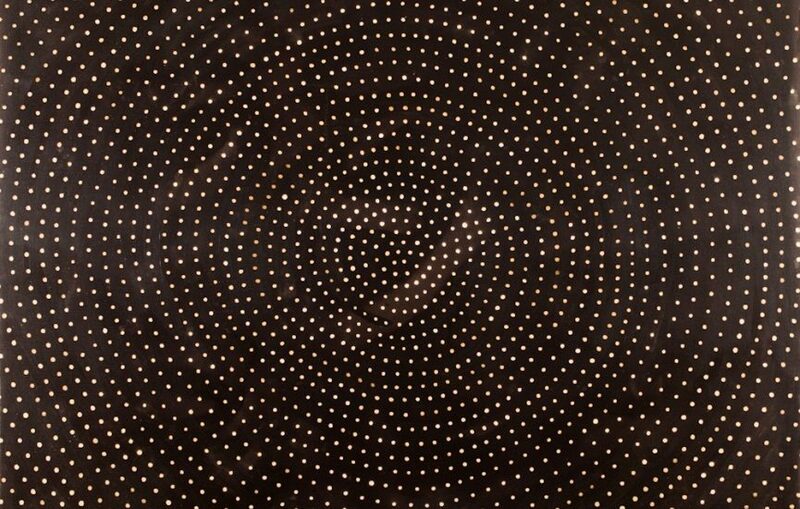 Ross Bleckner had a deep influence on the formation of the New York art scene, and he also participated in many altruistic actions, helping numerous community organizations to keep performing their activities. He was a president of the AIDS Community Research Initiative of America for ten years, and he has been working with the UN Office to help the ex-child soldiers in Northern Uganda. He is a Goodwill Ambassador of the United Nations. 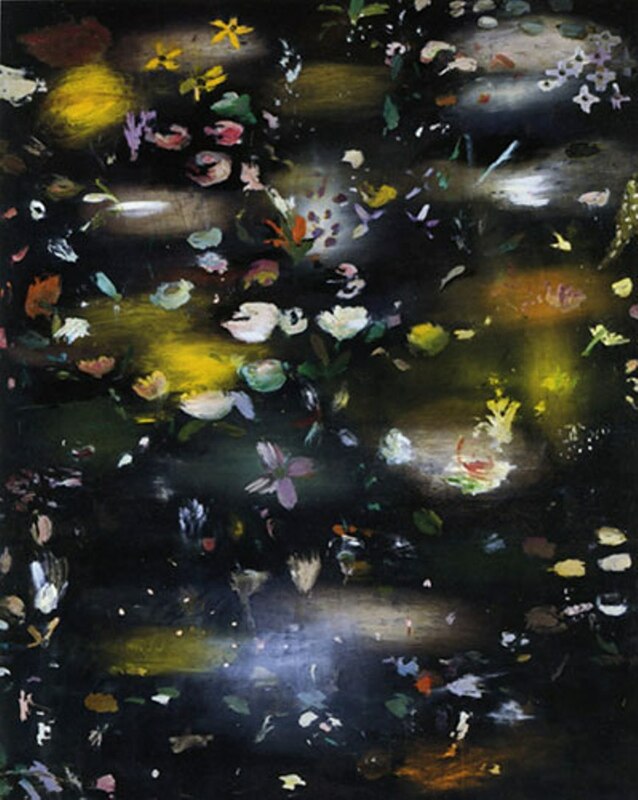 Ross Bleckner lives and works in New York. Mary Boone Gallery is one of the iconic spaces of New York art scene, having been an active exhibiting space since the late 1970’s. During the 80’s, the gallery presented luminaries such as Basquiat, Barbara Kruger, Ross Bleckner, Georg Baselitz, Anselm Kiefer, and many others. 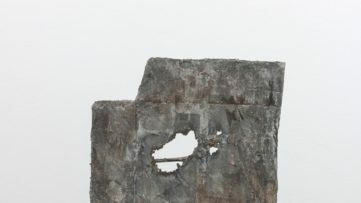 The Chelsea branch was opened in the early 2000’s, while the gallery keeps representing the best of the old and the most exciting new artists on the scene.